Avoiding money mistakes, whether we are in our teens, twenties or approaching middle age, we all feel that we will live for ever, we will remain healthy and retirement is something to think about many years down the road. This type of attitude is very common and it really does not sink in that we may have made a mistake until we are in our mid to late fifties and suddenly are faced with retirement either forced, intentional or for health reasons. It is at this time when we realize that we may have made a number of mistakes with our finances, and it is questionable whether we have enough time to recover and live comfortably in retirement. We collected six money mistakes that many people make and wish they had avoided. Take a look and see if any of these fit your current situation. maybe it is not too late to do something about it and ensure that your retirement is actually the way that you had always dreamed. Saving Later – the advantage of compound interest and savings can be really powerful if you begin early in your twenties, but almost worthless if you start in your fifties. By the time you hit fifty you pretty much need to save everything you will need for retirement. Spending Before Saving – always set aside money for emergencies, for retirement and for routine repairs on cars and homes. Only after you have set these monies aside, should you consider spending on the toys that we all love to get. 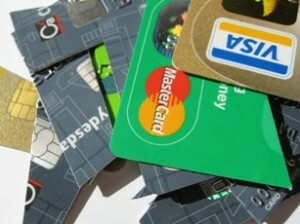 Buying Expensive Items on Credit – credit card interest rates begin at 18% with some as high as 35%. Payday loans are much higher than even these ridiculous rates. Buy on credit only if you can repay the amount charged to your card on the statement due date or end up erasing any savings you might have received by buying them on sale. Is one of the most expensive items in your budget next to food and shelter and yet many people do not pay attention to what the cost of the premiums are vs. the benefits they receive. not having health insurance can be just as expensive if not worse. Ignoring Interest Rates – shaving a half a percent off your mortgage or car loan can make a huge difference in the overall cost. In some cases thousands of dollars on a mortgage for example. Ask your lender for a better percent on a loan. Ask him to show you just what the difference will be if you are able to reduce the interest rate. Paying Too Much in Bank Fees – banks are extremely profitable and one of the reasons is the bank fees that we all pay. Once a year take a look at your bank fees to see if you can do better. Every dollar in your pocket is better than in theirs. Reducing your bank fees by $10 a month means $120 a year in savings. Who would not want that?